Choosing a broadband plan is often neither fun nor interesting, but it doesn’t have to always be this way. 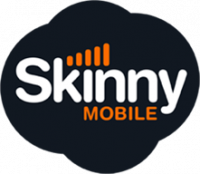 Skinny Mobile offers both mobile phone plans and broadband plans. 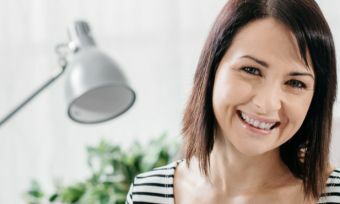 In fact, Skinny achieved five-stars for overall satisfaction for broadband in 2018 and also smashed it out of the park for its mobile phone plans. While its broadband plans are arguably less of a focus, it still offers a range of interesting broadband plans as a good alternative to the bigger Kiwi providers. So let’s get the skinny on Skinny’s broadband plans and see whether you can trim the fat with a new plan. As you can see, Skinny offers an incredibly concise range of plans, with two of them using 4G wireless internet, and one being fixed-line. Wireless internet can be had nearly anywhere and is on the Spark network. ADSL, VDSL and fibre connections are heavily location-dependent with those in metro areas benefiting most from high-speed fibre connections. All connections are the same price. Fixed plans come with a 12-month contract, with the fixed plans priced at $73, which includes a modem. The no-contract option incurs a $99 modem fee. With Skinny’s broadband plans pretty well skimmed across, let’s see how they compare to other providers. How does Skinny broadband internet compare to other providers? Skinny lacks a lot of extra freebies in this regard, which may make or break a plan for some users. Other plans also come with competitive home phone calling bundles, of which Skinny also seems to lack. However, if it’s just straightforward broadband you want then Skinny does work out to be one of the cheaper providers, with an average monthly price over two years of $73 a month. This average monthly price falls behind another small provider – Flip. Another provider to look out for is MyRepublic, which offers an unlimited plan under $75 a month for the first year. If it’s no-frills broadband you want then Skinny does offer a few great plans. Is a Skinny broadband plan worth the money? Skinny offers a pretty cheap no-frills price, with one of the cheapest unlimited data plans in all of New Zealand! However, the range of extra ‘stuff’ you get is pretty minimal. The bigger providers tend to offer a bunch more perks and bonuses to pry your dollars from your hands. With that said, if you want to do away with the gimmicks and filler and just want straight broadband – like many of us do – Skinny offers a great alternative to the big providers. For just broadband, it’s tough to see past Skinny and its no-fat broadband plans with no lock-in contract options.